Will I Lose My Search Engine Rankings By Changing Domains? We recently had a client approach us about switching domain names. They had an old domain, which they had purchased just a few years ago, and they wanted to switch to a newer one. Now, obviously, they didn’t want to lose any SEO traffic and rankings that they currently have on their old domain when they switch to the new domain. And this is something we’ve done a few times in the past and the way that you can not lose any traffic or current website rankings is making sure that you set in place the proper 301 redirects. 301 redirects are basically telling the search engine and anybody who visits that web page that content located on the old page and old domain is located on the new domain and the new page. 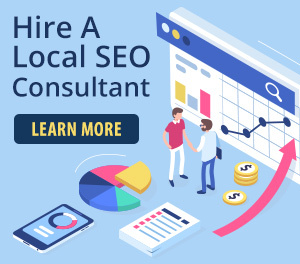 So, when the example outyourcompetition.com, we found a new domain SEO.com. If we were going to move all of our content, we would do so by using our WordPress database, and we use WordPress and we’d upload the database to our new domain, SEO.com, so that every page and all the content stays the same, it just goes to a new domain. So, if we had http://outcareyourcompetition.com/blog-post, that page would now be located at http://seo.com/blog-post, so the content and url would be the exact same, just the domain name would change. In setting place 301 redirects, not only do you want to redirect your home page from outcareyourcompetition.com to seo.com, but you also want to redirect any of these subpages, whether it’s a blog post or whether it’s just a page, you want to make sure that redirects to the proper page on the new domain and website. So, for http://outcareyourcompetition.com/blog-post, we want to redirect that to http://seo.com/blog-post/. And by doing that, you will not lose any search engine traffic and rankings, because when Google’s going through the search results and they see http://outcareyourcompetition.com/blog-post/, when they go and visit that, they’re going to notice that it’s now located at http://seo.com/blog-post/, because we’ve set in place the proper 301 redirects. Doing this is very difficult to do, you can try to search around for how to do that, you have to set in place these 301 redirects in your htaccess file on your FTP server. And you have to have a line for each page, so obviously the more pages you have, the more lines you have in the htaccess file that say this page was located here but it’s now located here. So if this is something you’re not experienced at, I highly suggest and recommend you contact a local web development company or an SEO company, like ourselves, to ensure that it’s done properly, and that you don’t lose out on any organic rankings and any organic web traffic that you have on your old domain when you transfer to your new domain. Now there actually is a tool that can report the redirects to you. This redirect tracker tool gives information on each type of page status. Please give us a call, contact us and we’d be happy to help you with this to ensure you don’t lose out on any organic traffic or any organic web rankings that your website has right now when you move from your old domain to your new domain.